Emily Morrow Finkell knows floors. 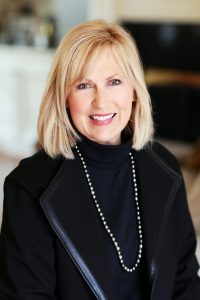 Finkell, a former interior decorator, is the founder and CEO of Emily Morrow Home. Her company is one of the leading purveyors of American hardwood flooring, and has a pulse on flooring trends around the world. With 30 years of experience, it’s no wonder she’s considered the authority when it comes to luxurious yet affordable hardwood floor design. NAFCD caught up with Finkell ahead of Domotex USA where she will be hosting a design panel and lunch during the show’s inaugural breakout sessions from 11:30 am to 1 pm on March 1. NAFCD: What do you think is going to be a hot trend in flooring for 2019? EMILY MORROW FINKELL: Thus far it’s looking like a beautiful year for Emily Morrow Home hardwood. It’s a definite advantage to be “geeked out” as a trend forecaster. One of the hottest 2019 trends is the “Maximalist” trend which I forecasted as a coming trend in an article for Floor Covering Weekly back in 2017, and also in a blog post following High Point Fall Market. Today, maximalism fuels the consumers’ desire for “more is more,” and fortunately we have products which are styled perfectly for this trend. How does this manifest itself in hardwood and interiors, you might ask? To boil it down to the most simple terms, we will see longer and wider planks, as well as more variety in how we are installing hardwood planks, such as herringbone or chevron. For us, we are addressing this hunger for “more” in our 2019 Winter Market EMH introductions: “Great Migration” and “Tusker” for example boasts a 9 inch wide format which coordinates effortlessly with our herringbone, all in a sliced face white oak. NAFCD: What is one formerly popular trend you’ve seen go to the wayside, and why do you think that happened? EMF: Truthfully, we are seeing the fading away of “reactive” looks which were pretty hot the last two years, but anytime I see something come onto the scene that is “trendy” instead of a lasting “trend,” I will let others follow that until it fizzles out, which is usually pretty quick. What I do think people liked about the “reactive” looks was the movement of color. What people did not like about it was the way the color never stayed the same, hence the name “reactive.” It’s funny how the one thing that can draw people in can also be the very thing they tire of quickly. I do think some manufacturers have produced looks that mimic “reactives” however again I think to the less trained eye, they’ll tend to stay away from the look. NAFCD: What’s one trend you’d like to see make a comeback? EMF: My FAVORITE trend that has actually made a come back is the use of warm metallics, like aged bronze and gold finishes in lighting and kitchen and bath hardware. In one swift move, changing from brushed nickel to gold hardware can make an immediate update to an otherwise stale space. There’s a nice tie-in to hardwood flooring as a result of the warming of metallics which we have conveniently addressed in our 2019 Emily Morrow Home introductions. “Lewis & Clark” is one of our newest styles which is our nod to the warming of the palette. It’s a golden tan white oak with a sweeping sophistication making it easy to warm up an interior that might be starting to feel too cool with an all gray and brushed steel palette. NAFCD: Do you find trends vary from region, or are they typically pretty similar across major marketplaces? EMF: Over the course of my career at Shaw as Director of Color, Style and Design, one of the things I enjoyed most was keeping up with how colors that were selling tended to move and shift both nationally and globally. Our team had created a map of the USA which showed the top selling colors and styles from top to bottom and updated it quarterly. Prior to the 2007 down turn in the economy, I would see more regional shifts in the colors and styles. Then the recession happened and everything stopped moving and basically shifted into the super safe “gray beige” world. Since the rebound and our “Trump-bump” we are beginning to see signs of more movement again geographically. One other aspect that has changed is I’ve observed a more rapid adoption of global trends here in the USA from abroad. In 2017 another mega trend I reported on in some publications was the Hygge trend which in essence is all about “comfort” based on Scandinavian design influences. Imagine seeing a tidy basket of small kindling next to a sleek, contemporary fireplace, an oversized woolen throw and a cup of hot tea steaming next to the felted wool sofa or chair. The sense of comfort and simplicity of the materials is my briefest explanation of “Hygge,” and you’ll always find hardwood in a Hygge inspired room. What’s more nurturing that hardwood finishes and I am thrilled that eight of our 12 new introduction are “natural grade,” where we have sorted out the heavier character and knots, leaving a “clean” wood grain visual. NAFCD: From a flooring perspective, are trends dictated by taste or by the accessibility of materials? EMF: For sure yes on both taste and accessibility. Our tastes are improved as our horizons are broadened. The more of the world we see, the more options we realize that there are to have. With this in mind, once you’ve seen the floors of your dreams, you can then bring that dream to reality, as long as it’s attainably priced for your budget. We are seeing looks in various price points that enable consumers attainable luxury hardwood flooring when historically it might have been too labor intensive to install. We have already watched the shift in the marketplace from more solid hardwood floors to more engineered hardwood floors. Of course there’s always going to be an exception to this rule in areas like the Northeast where we still see more solid hardwood floors due to how homes are constructed, homes with crawl spaces versus slab construction. With the shift towards engineered, we are enjoying a wider variety of wood species as well as more options of how we are finishing the products. With engineered hardwood manufacturers can use a thinner wear layer for the veneer making better use of “premium” materials and using the less premium (still hardwood) for the platform. Hopefully everyone is working with US made products so they’re not surprised with a paper thin wear layer that will immediately be punctured with someone’s Christian Loubitain high heels. NAFCD: How do things like tariffs and/or the global economy affect trends? EMF: where do I begin…I think this is question that is impacting us all. For me, I am fortunate that we are sourcing and manufacturing our products here in the USA and are not fearing for what is around the corner. I am thankful for this and don’t wish that worry on anyone. NAFCD: Anything else you’d like to add? EMF: I am so grateful that we’re going to be hosting Domotex USA in my home state of Georgia where we all enjoy immense pride in our floor covering industry. With friends all over the world, I am so thrilled that they’re coming to us so that we can shower them with our gracious Southern hospitality!